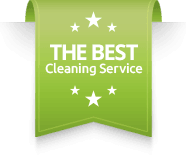 Kulas Maids Inc. has not only been providing residential cleaning services, but also has been serving the commercial cleaning industry since 1983. Each and every one of our clients has individual needs. We will work with you to create a plan that meets your requirements and won’t stretch your budget. Before any commercial cleaning begins, we visit you to assess your office space. The more we understand about you and your business, the better we can meet your exact needs and deliver outstanding results. Whether you need a commercial cleaning service on a daily, weekly, or monthly basis, Kulas Maids Inc. will provide you a superior cleaning service with affordable prices you can’t resist!